In spite of my best efforts to carefully balance trucks and tiaras, my daughter hit a very intense princess phase right around the time she turned two. One year later, we are still very serious about dresses and princesses. In this story, the princesses grow tired of their lives and decide to try someone else's for a while. Snow White hangs out in Rupunzel's tower, Rapunzel goes to the ball in Cinderella's stead, Cinderella gets some sleep instead of Sleeping Beauty, and Beauty goes to live with the dwarves for a while. Each one discovers that there are pluses and minuses to each kind of life. My favorite part is the real-world application, though; each princess figures out what will make her life a bit happier and takes steps to make it happen. 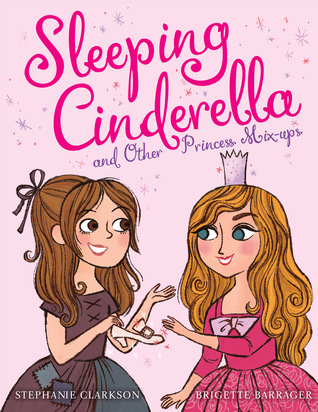 Sleeping Beauty switches from spinning to knitting to save her fingers, Cinderella goes to college, and Snow White gives the dwarves a chore list (hey, they all live there!). To the casual observer, Princess Magnolia is the perfect young royal. 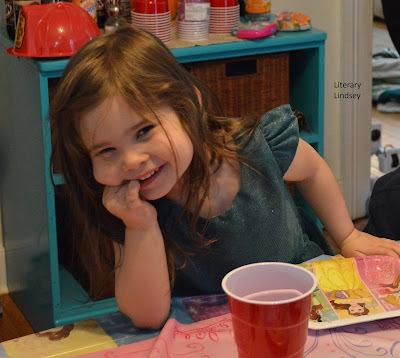 Her castle is beautiful, her dresses are pink, and she serves delicious hot chocolate to guests. 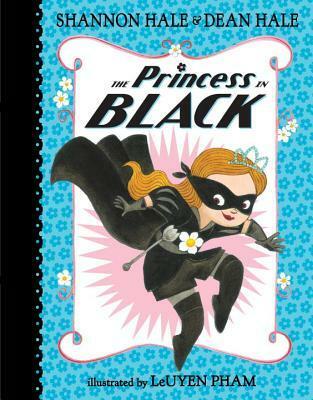 But the princess has a secret: she is also the Princess in Black! Garbed in a black cape, she defeats any monsters who want to get into her kingdom. Of course, fighting monsters is not something that young princesses should be doing so Magnolia must hide her secret identity from everyone. This book (and the two that come after it) are laugh-out-loud funny and the perfect chance for mom and dad to perfect their voices, as you get to narrate for Magnolia, the suspicious Duchess Wigtower, and the young goat herder who is surprised when his flock almost becomes an appetizer! This picture book features princesses going about their normal kids lives, as they go to their soccer games, build a fort together, and play pretend. My daughter, at least, gets very caught up with the idea that all princesses need to wear frilly dresses all the time. So it's nice to remind her that a princess is still a princess when she's wearing cleats or muddy rain boots or overalls. Princess Isabella thinks being a princess is a bum deal. She is never allowed to get dirty, the dresses and crown are uncomfortable, and she would like for once to do something for herself! One morning, she rebels and declares that she will not wear her crown. Her father tries to teach her a lesson by sending her first to work in the kitchen and later, to work in the pigsty. But Isabella discovers that she loves both of those things. Can Isabella convince the king to allow a dirty, happy princess to be herself? 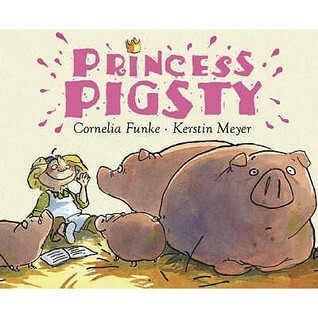 Do you have a favorite nontraditional princess story? 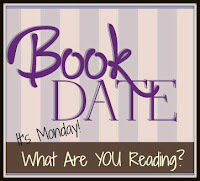 I read books this week. I even wrote a post (eventually)! I'm back, ladies and gents! It's been another good, long week here at the Literary house. In addition to all of the regular craziness, D had a project for school about sharks, the husband was preparing for the church's annual meeting this Sunday, and it was my mom's birthday! We surprised her for dinner and brought cake (chocolate with peanut butter frosting, if you were wondering). I finished reading both Alias Grace and Bad Feminist this week. 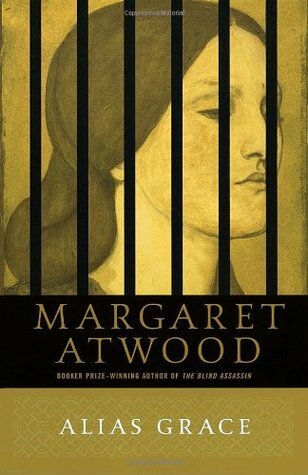 I forgot just how immersive reading Atwood can be, but I thought it was a great story. 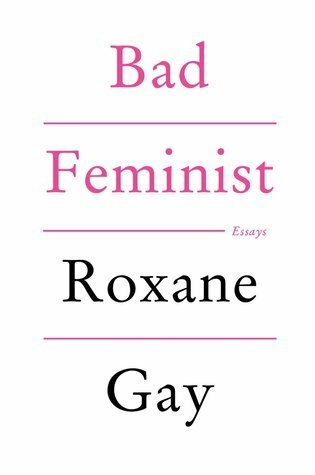 The Bad Feminist essays were an ok read for me. Many of them made me consider things in new light, and I appreciated Gay's thoughtfulness and compassion about the topics she covered. 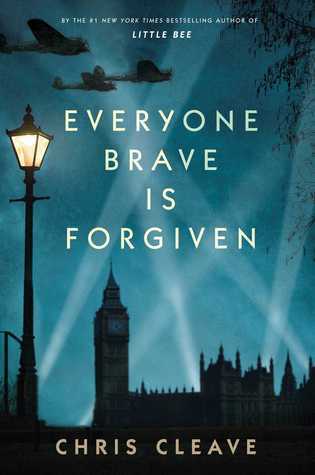 This week, I'm really excited to read Chris Cleave's newest book Everyone Brave is Forgiven. 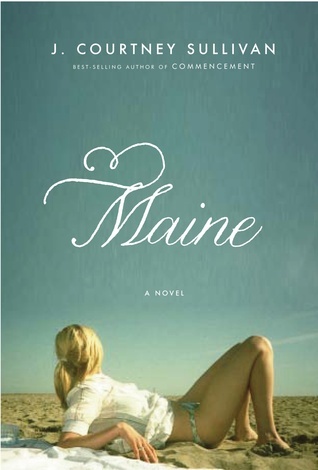 Then, since it's finally starting to act like spring in New Jersey, I'm going to give Maine a whirl. 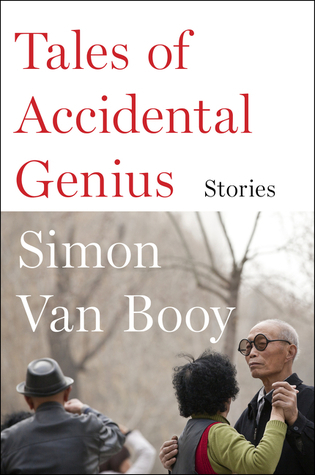 Simon Van Booy is the beloved author of the novels The Illusion of Separateness and Everything Beautiful Began After. In Tales of Accidental Genius, his second short story collection, he takes readers to the pet store with an old man hoping to help his fish and with a fashion designer on her trip to find inspiration. A couple is torn apart by the wife's alcoholism and infidelity and the final story is a Chinese folktale through the eyes of a film director who wants to make a different kind of movie. Tales of Accidental Genius will not give you high speed chases or epic battles. Instead, the stories focus on quiet moments of understanding and the melancholy of loneliness. The genius referenced in the title has nothing to do with admission to Mensa or high test scores. Instead, the genius in these stories is the one that comes from kindness, from doing the right thing even when it's difficult or unexpected. 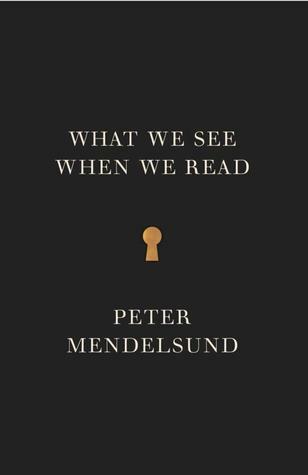 So often in literary fiction, we read about darkness and pain and loss. But these tales give us hope that kind people do still exist in the world and that, once in a while, goodness is rewarded. In A Tyranny of Petticoats, 15 of the best young adult writers bring history alive through the stories of brave, smart young women. In the introduction, editor Jessica Spotswood says that their aim was to bring American history to life. They travel through the Alaskan wilderness in the 18th century, carry out espionage for the Union during the Civil War, and fall in love with a fellow riveter during WWII. Collections like this one are a perfect way to hook you on new authors. One of my favorites was Leslye Walton's El Destinos, which reimagined the Fates are three young sisters in 1848 Texas. It was such a clever and unique spin on a well-known tale. I also greatly enjoyed Gold in the Roots of the Grass by Marissa Meyer, where a young Chinese women gets more than she bargained for when she tries to speak to spirits in a mining town. Y.S. Lee introduces readers to The Legendary Garrett Girls, sisters who refuse to let a man take over their Alaskan bar. While not every story is equal, I love that this collection is not just populated by white girls and it equally features girls fighting for love and marriage and girls who want nothing to do with it because they have awesome things to do. This is a book I will be happy to share with my daughter in another decade or so! Katherine Zoepf is a journalist who has spent a good portion of her career in the Middle East. As a young woman herself, she is granted unique access to unmarried women. 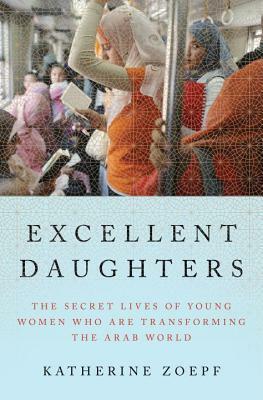 In Excellent Daughters, we learn about the women she met in Damascus, Beirut, and Abu Dhabi. 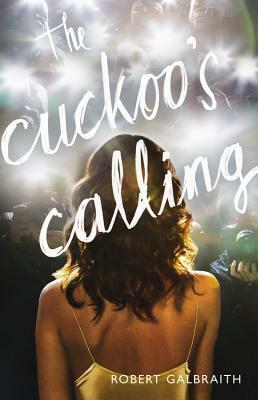 Some of the women are brimming with excitement over their impending marriages, others are experiencing what it means to have a job as a stewardess or in a shop, and some women are waiting in a detention center, hoping that their fathers and brothers will never find them and kill them in an attempt to restore their family honor. One of the things that was very illuminating for me was seeing just how different the women's beliefs, dreams, and goals were, depending on where they lived. Unfortunately, we tend to lump the Middle East together, as if the experience of a girl growing up in Egypt is the same as her counterpart in Syria. Reading this led me to really think about what we consider to be progress and freedom. Many of the women interviewed on these pages truly believe in things like the separation of men and women and the female's responsibility to ensure that men are not aroused by them. To an American woman who considers herself a feminist, this seems ridiculous. But what is our right to force our beliefs on them? How do you differentiate between a truly individual belief and something that has been taught to them for an entire lifetime? Excellent Daughters is often structured around juxtapositions. In the prologue Zoepf sits with young women in Saudi Arabia, as they celebrate their friend's impending trip to Mecca. One of the girls is recently engaged. While the friends discuss the impropriety of even speaking to their fiancees on the phone, the future bride also confesses her hope that they could honeymoon at Disney World. But this isn't portrayed as a flight of fantasy or silly last wish of a girl getting married too young. 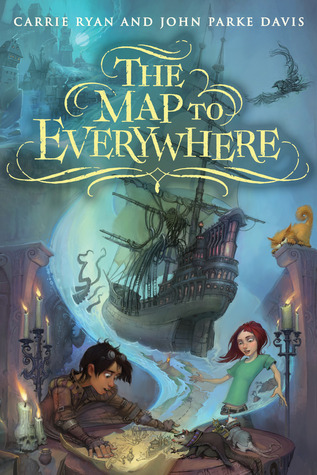 There is clearly a deep love and respect that Ms. Zoepf has for the people and countries that she covers in this book. She wants the reader to see the women on these pages as complex people, not projects for us to fix or victims for us to pity. The title of this book is perhaps misleading. Often, the women who are considered excellent daughters are the last ones taking the kind of risks that will change the world around them. There are certainly women in this book who are making different choices than their mothers and grandmothers. Many of them are pursuing further education and even graduating with college degrees. But in many cases, they are degrees in fields where women cannot yet work or a step towards working in a lesser way than a man would with the same certifications. This book is about tiny steps in attitude or moments when women dared to ask for more, not sweeping reforms. The difficulty with a book like this is that the world itself is moving faster than publishing does. Zoepf admits that the Syria she experienced in 2004 doesn't exist anymore. But I still think this is an important book. Most of us in the US have no idea what life is like for our counterparts in the Middle East. 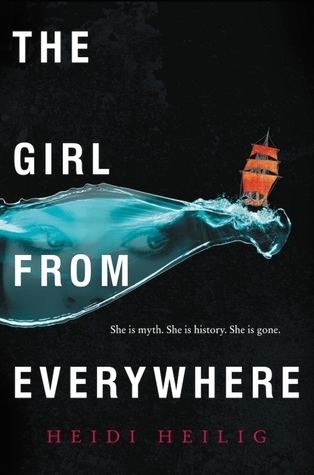 Reading this book gives us a glimpse into everyday moments and the life-changing events that are happening to women on the other side of the world. I am checking in late because it was a very long, but most excellent weekend. On Mother's Day, my husband and sisters (plus one boyfriend) made brunch for my mom and me. It was delicious and so relaxing to know that the kids were happily running around and no one had to keep them quiet during a fancy restaurant brunch! 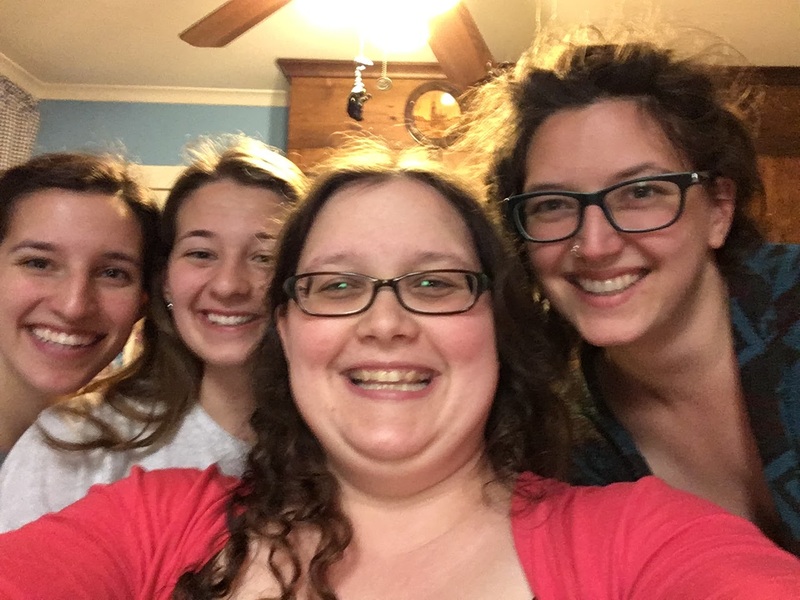 One of my sisters is visiting from California for the week, so she spent the night on Sunday. We stayed up much too late for the approaching 30 crowd. Consequently, Monday morning was kind of rough. My second grader did make it to school on time, but I fear the rest of the morning featured some snuggling and a small nap may have happened this afternoon. The reading continued as usual this week. I had fun reading the short stories in A Tyranny of Petticoats and finished All Of Us And Everything this morning in between painting and reading with my favorite toddler. I even posted some reviews this week! 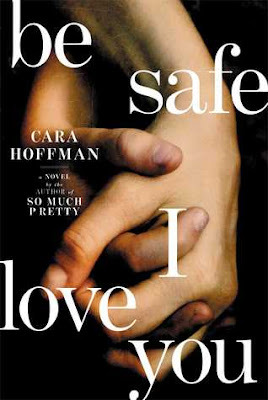 You can read my thoughts on Be Safe, I Love You and Hanging Mary, as well as my April wrap-up post. I am excited to finally read Alias Grace. It will probably get some time before bed tonight. Next up is Bad Feminist from the library. Lauren Clay is back home after a tour of duty in Iraq. She gave up on a future as a classical singer to support her brother after their mother left and their father suffered from depression. Lauren insists that she is fine, but her friends and family can tell something is not quite right. When she proposes to take her brother Danny on a trip to see their mother, everyone sees this as a good sign. But Lauren doesn't go to their mother; instead, they trek into the Canadian wilderness. What happened to Lauren? Where is she going and what does she hope to find? Be Safe, I Love You is not a book that will make you comfortable.It is constantly confronting the reader and I found myself very nervous for Lauren and for the other people in her life. This story does not paint a rosy picture of the things veterans face when they come back home. The cost of serving in the military is high and it is one that will be paid for a long time, often an entire lifetime. There are people in Lauren's life who want to help her. There are even fellow veterans from previous wars who know that she is not fine, as she keeps insisting. But the distance between someone who has been through war and found a place in civilian life and one who has just returned is still a deep chasm to cross. This book is at least partially about focus and control. We witness Lauren keep watch over her home and her family with the precision of a soldier. We travel back in time to her training as a classical singer and watch her calmly and rationally give up a dream for her family. We see her struggle to act naturally around her father, brother, best friend, and former boyfriend even as her mind and her heart are failing her. Ms. Hoffman had written an unflinching story about what returning from war really means for veterans and for the people who love them. But it is also a book about the power of love for beauty, for home, and for the people in our lives. 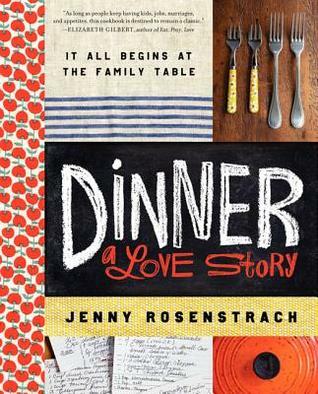 After all, the book title comes from the joking, loving letters that Danny sends his sister while she is overseas. Each letter concludes with, "Be safe. I love you." Bye, April. See you next year! April was busy and exhausting. I think we are in one of those moments in time where parenting is a big undertaking. I know that these phases are temporary but I find myself thankful for bedtime these days (for them and for me). Tired seems to be a recurring feeling, so I'm trying to work on getting a good night's sleep and take care of myself. Apparently, I have really done a terrible job of taking any pictures at all during April. I will have to work on that! May promises to be a busy month, with birthdays for the husband and the little girl as well as several other family members. My sister and best friend will both be visiting from the West Coast. I'm ready to celebrate with of my favorite people! 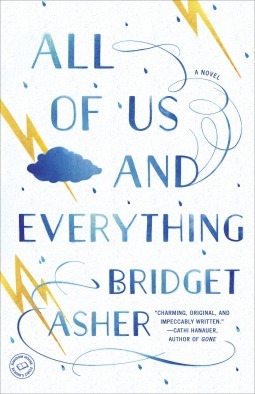 This month, I reviewed ten books on my blog. Two were nonfiction and eight were novels. I read four library books, two books for review, and four from my own shelves. My favorite reads from April were Mr. Splitfoot and The Golem and the Jinni, with honorable mentions to Night Driving and Why We Came to the City. 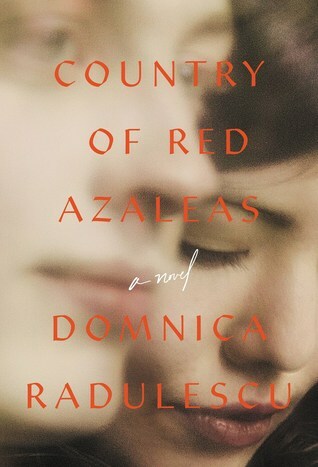 I enjoyed articulating just what makes a book get that elusive five star rating from me. I also had a fun 24 Hour Readathon, which you can read all about here. Same round-up as last month. I'm still re-watching my beloved Gilmore Girls and The West Wing on occasion. Husband and I probably need to decide what we will watch this summer, when most shows go on hiatus. Any suggestions? David and I made these together. We enjoyed most of them, but made sure to send some to his teacher too! What were you into during the month of April? In 1865, several people were tried as conspirators in the assassination of President Lincoln. One of them was a woman. Mary Surratt was a widow who ran a boarding house. Her son worked for the Confederacy and was close friends with John Wilkes Booth. But how much did Mary contribute to the conspiracy? Was she a woman committed to the downfall of a Union president or did her love for her son make her blind to the danger he brought into their home? Hanging Mary may be the story of Mary Surratt, but it is told by her lodger Nora. 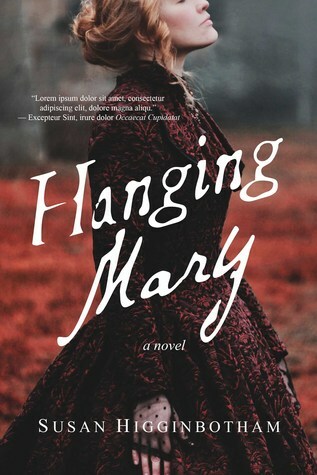 While we occasionally get some moments directly from Mary's point of view, much of this book is about Nora and her experiences as a Union supporter living among Confederate sympathizers. This means that we don't get to know Mary quite as well as we might hope to. This book will certainly make you think about the power or lack thereof that women held in the 19th century. We witness Nora, Mary, and Mary's daughter Anna walk the fine line of propriety when it comes to just about every moment of their lives. Nora's father rigorously researched a place for her to live, and she lived with the Surratts because of the presence of other women in the house. As a widow, Mary often has trouble negotiating business without her son or another male to accompany her. Hanging Mary didn't always succeed in making me fall for the characters, but it did give me a very real sense of what life was like in Washington D.C. at that time. I loved reading that girls would collect photos of John Wilkes Booth and was fascinated to read about the condition of prisons for women suspected of being Confederate spies. This book is a great pick for a reader who wants to immerse themselves in the Civil War or find out about a woman who could have changed history forever. Good morning from the endlessly gloomy New Jersey. I am not a fan of all this rain. It has been overcast here for the past four days or so and promises to continue for much of this week. While we have made many pillow forts and valiantly burned candles that promise something warm and tropical, this weather may lead to a meltdown where some active children are concerned. In good news this week? It was my birthday on Tuesday. My parents took me out for lunch at this charming restaurant that specializes in every type of french toast you could imagine. Then husband took me out to dinner and we splurged on crab cakes, lobster macaroni and cheese, and this gigantic peanut butter brownie sundae. We usually have big family birthday parties, but my father, two sisters, and I are going to be seeing Hamilton this summer. That used up our allotment for our birthdays and Christmas for probably the next ten years. 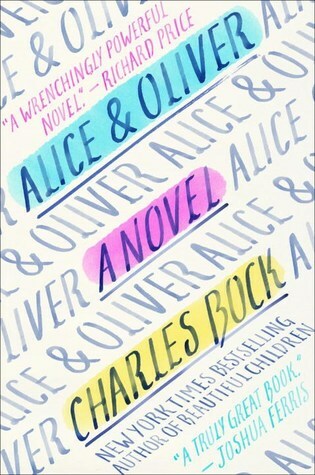 I moved Alice and Oliver and Searching for Sunday from my tbr pile over to my to-be-reviewed stack. The first is a novel about a couple with a new baby who learns that the wife has very advanced cancer. 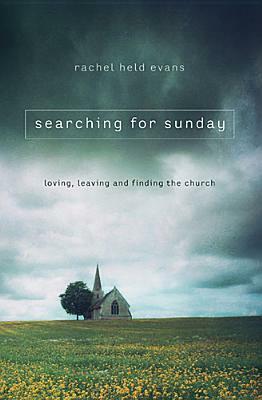 The second is a memoir of sorts about Evans leaving the church and coming back to it again. 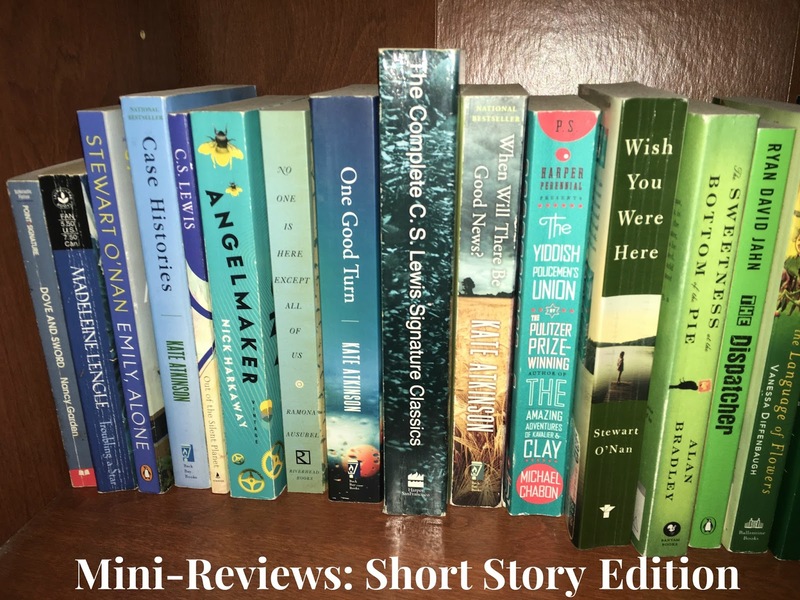 Things were pretty quiet on the blog this week, but I did write mini-reviews of Maisie Dobbs and Countdown City. I also shared my love for The Golem and the Jinni. This week. 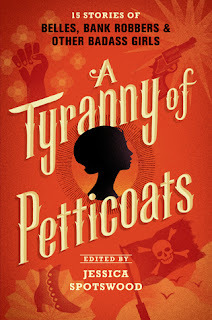 I'm hoping to read A Tyranny of Petticoats, a collection of short stories, and All of Us And Everything for the She Reads Book Club.